Zenith Medical Centre knows that our skin is an important organ of the body. This is why our spent their time developing their expertise in treating skin conditions. Anything that irritates, clogs, or inflames your skin can cause symptoms such as redness, swelling, burning, and itching. Allergies, irritants, your genetic makeup, and certain diseases and immune system problems can cause rashes, hives, and other skin conditions. We understand many skin problems such as acne, rosacea, psoriasis, eczema, fungal and parasite skin infections affect your appearance and the way you feel. So we are poised to help control skin these diseases. You must know also, that some skin conditions are acute and can be easily managed. However, there are other skin conditions that are Chronic that can be difficult to cure but they can be controlled with adequate treatment. 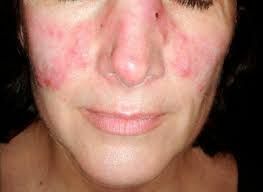 These include Psoriasis, Lichen simplex chronicus, Lichen planus, Dariers disease, Vitiligo and many others.